*Offer valid between 1 April 2019 and 31 October 2019 on qualified new equipment and is subject to approval by John Deere Financial. 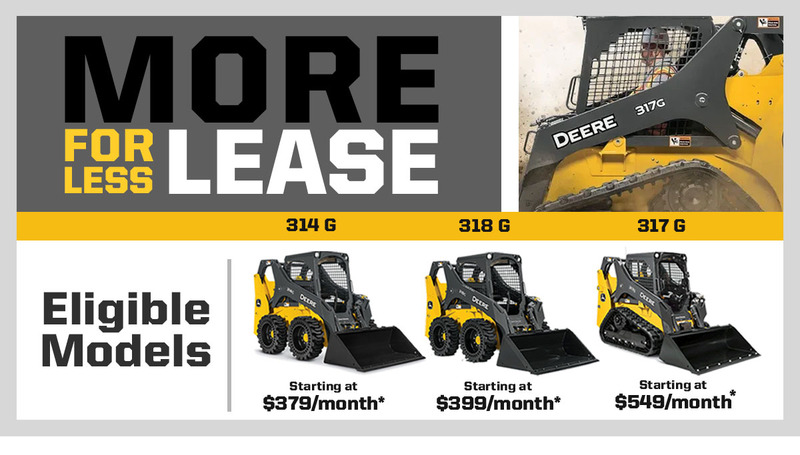 *** As of June 1, 2018, applies to purchases of new John Deere skid steers, compact track loaders, compact excavators, and compact wheel loaders from John Deere or authorized John Deere dealers. Warranty expires two years after the delivery receipt date or after 2,000 machine hours, whichever occurs first.